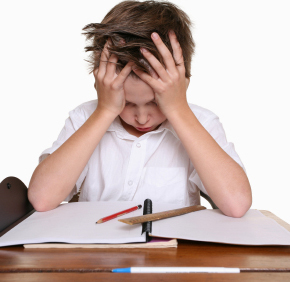 Why are students frustrated by math? Because they don’t know the basic facts. In order to do math easily, students need to be able to write the answers to math facts instantly, without hesitation—basically as fast as they can write. These tests have a component that tests how fast a child can write numerals. Then when you have them write answers to math fact problems you are able compare their answering speed with their writing speed. The directions for each of these tests is located before the test. There is a different test for each operation. Children should learn the operations in order (addition, subtraction, multiplication and division). If a child needs to start with addition facts, there is no need to test the other operations. NOTE: There is an exception: If a child is in 4th grade or above, multiplication facts (which can’t be counted on fingers) have priority. Fluency with multiplication facts is SO indispensible to further math computation, fractions, and pre-algebra that you can’t wait until they have mastered addition and subtraction. Go back for those skills later. PARENTS: These tests are a free and easy way to see if your child would benefit from practicing math facts at home using Rocket Math specially sequenced worksheets or flashcards. TEACHERS: The 15-second tests above are a quick way to see if your students would benefit from participating in the Rocket Math facts curriculum–before you purchase it. However, to monitor student progress and get more reliable scores I recommend one-minute timings. First test how fast students can write, then give them a one-minute timing. They should be able to answer as many problems in one minute as they can fill boxes in the one minute writing speed test. The one-minute tests can be found under Pre-Tests.